Discovering Australia's most promising young classical singers. The 2018 IFAC Handa Australian Singing Competition Final was held on 8 September at The Verbrugghen Hall in Sydney. 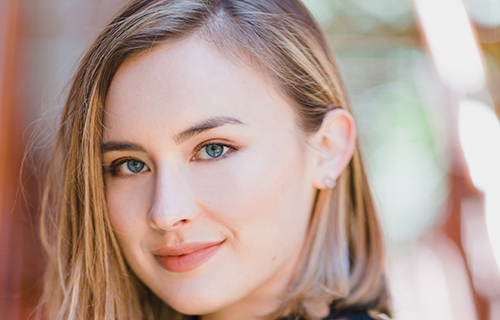 Zoe Drummond was named the winner of the Marianne Mathy Scholarship after her stunning performances of Mozart’s Nel grave tormento and Verdi’s Sul fil d’un soffio etesio accompanied by the Opera Australia Orchestra conducted by Dr. Nicholas Milton. 1. Audition Prize from Lyric Opera of Chicago's Ryan Opera Center: an opportunity to audition for Lyric Opera of Chicago’s professional-artist development program, The Patrick G. and Shirley W. Ryan Opera Center. 2. Lili Ussher Prize Portrait: a painting of the winner in concert dress. 3. Oral History Award: a taped interview by oral historian Diana Ritch will be recorded and retained within the Oral History Collection of the National Library of Australia. 4. The Mathy: a limited-edition Drago Marin Cherina sculpture presented by Music & Opera Singers Trust Ltd (MOST®). Zoe was also awarded the Canberra Symphony Orchestra Prize: a professional engagement to perform with the Canberra Symphony Orchestra. Zoe is currently completing an Artist Masters of Opera Performance on full scholarship at the Guildhall School of Music and Drama, London. She completed a Bachelor of Music Performance with First Class Honours at the Sydney Conservatorium of Music, during which time she was awarded numerous scholarships for academic and musical excellence. 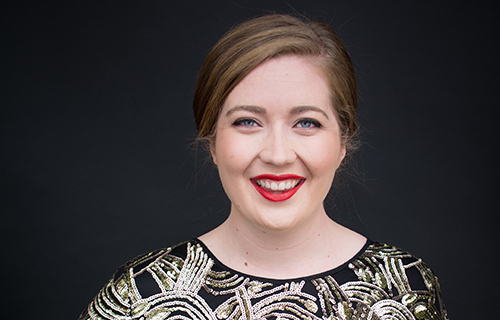 Zoe has been a Melba Opera Trust Scholar for three years as a proud recipient of the 2015 RJ Hamer Opera Scholarship, the 2016 and the 2017 Dame Nellie Melba Scholarship and Patrick & Vivian Gordon Award. 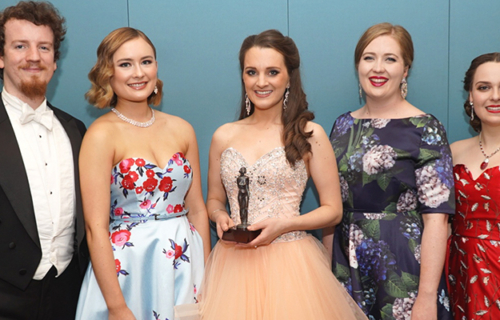 Nominated by the Trust, Zoe was awarded the Sydney Opera House Opera Award, granting her the opportunity to work with internationally acclaimed soprano, Renee Fleming. Zoe made her Opera Australia debut in Sydney Opera House – The Opera (The Eighth Wonder) as Clare Goldring, Architect’s Daughter and Socialite. In 2017 she won the Opera Foundation for Young Australians Lady Fairfax New York Scholarship, won second prize in the 2016 Mietta Song Competition, and received the 2016 Megan Evans OAM Encouragement Award from the Joan Sutherland/Richard Bonynge Foundation. Zoe will appear with Opera Australia in the role of Giroflé/ Girofla in the operetta ‘Two Weddings, One Bride’ at the Playhouse, Arts Centre Melbourne in November 2019. Soprano Zoe Drummond is currently completing an Artist Masters of Opera Performance at the Guildhall School of Music and Drama, London. Zoe was honoured to be awarded the 2015, 2016 and 2017 Melba Trust Scholarship, the Opera Foundation for Young Australians 2016 Lady Fairfax New York Scholarship, and second place in the 2016 Mietta Song Competition. Recent performances include Susan in A Dinner Engagement (Guildhall Opera Studio), Giroflé/Girofla in Two Weddings One Bride (Opera Australia), Architects Daughter in The Eighth Wonder (Opera Australia), Nightingale in The Sleeping Beauty (Victorian Opera) and covered Soeur Constance in Dialogues des Carmélites (Guildhall Opera Studio). She also enjoyed performing with the Opera Australia Chours for the 2017 Summer and Winter seasons, and international tours with The Seven Sopranos. Zoe is looking forward to performing Despina in Cosi fan tutte and Titania in A Midsummer Nights Dream with the Guildhall Opera Studio. 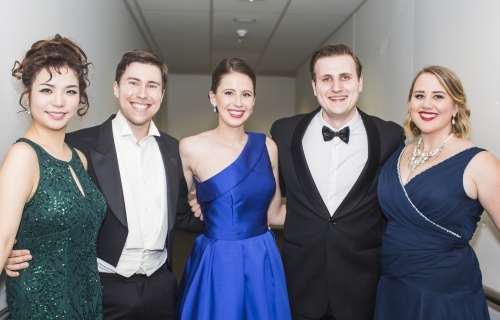 Sydney-born baritone Tristan Entwistle completed a Masters of Music Studies (Opera Performance) at the Sydney Conservatorium of Music in 2017 under Ms Maree Ryan, where he was awarded the Bud Brown Memorial and Patricia Lucas Music Achievement Scholarships. 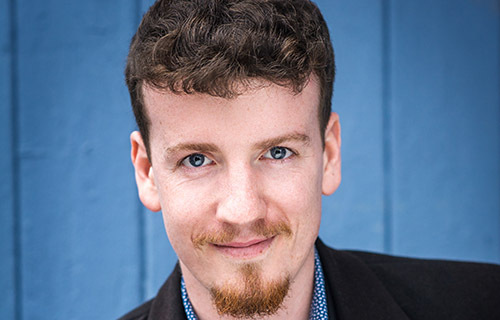 Tristan is a founding member and artistic advisor of the Sydney-based youth company, Operantics, and has worked with them as a performer, director, conductor and chorusmaster since their maiden production in 2015. His operatic roles include Escamillo (Carmen), Papageno (Die Zauberflöte), Guglielmo (Così fan tutte), Leporello (Don Giovanni), Nardo (La Finta Giardiniera), Barone Douphol (La Traviata), Dottor Grenvil (La Traviata), Dr Falke (Die Fledermaus), Elder McLean (Susannah), Edmund Bertram (Mansfield Park), Old Yue (Chang’E and the Moon), Giove (La Calisto), the Drunken Poet/Corydon (The Fairy Queen), and Giuseppe Palmieri (The Gondoliers). Cleo has been the proud recipient of the Joseph Sambrook Opera Scholarship with Melba Opera Trust since 2017. She performed the role of Gretel in Victorian Opera’s Hansel and Gretel in both the 2018 season and the 2017 Victorian regional tour. Cleo was a soloist with the Tasmanian Symphony Orchestra in Mendelssohn’s A Midsummer Night’s Dream. She has featured as a soloist on ABC Classic FM multiple times, including in celebration of International Women’s Day. Cleo holds a Bachelor of Music with Honours from the University of Melbourne, majoring in Performance. Cleo received a number of scholarships during her tertiary studies, including Runner-Up of the Acclaim Awards Sleath Lowrey Scholarship, the Athenaeum Club Female Solo Vocalist Prize, and the Muriel Cheek, Mona McCaughey, and Florence Bradford Scholarships, and was joint winner of the Harold Fisher Memorial Opera Scholarship. In 2017 Cleo was a finalist in Opera Scholars Australia’s Scholar of the Year competition. 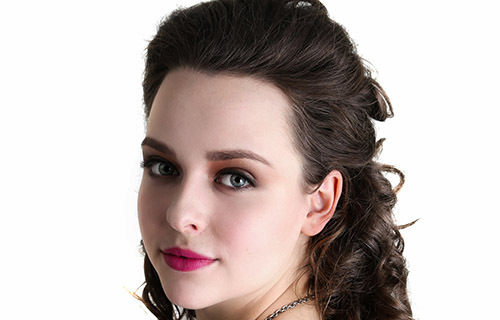 Katherine is a soprano from New Zealand, studying for a Masters in Vocal Studies at the Guildhall School of Music and Drama, under Yvonne Kenny. She holds a Bachelor of Music with First Class Honours from the New Zealand School of Music, and was a Dame Malvina Major Emerging Artist with New Zealand Opera for 2015/16. She has been selected for development programmes with the Dame Kiri Te Kanawa Foundation and the Dame Malvina Major Foundation, was a Britten-Pears Young Artist at the Aldeburgh Festival, and won the Wellington Aria Competition in 2015. She recently made her Barbican debut with the small role of Sister Catherine in the UK première of Jake Heggie’s Dead Man Walking with the BBC Symphony Orchestra. Her roles include the Governess in The Turn of the Screw, Tatyana in Eugene Onegin, Giulietta in I Capuleti e I Montecchi, and Marcellina in Le Nozze di Figaro. Pasquale graduated with First Class Honours in Classical Voice in 2017, under the guidance of Jenny Wollerman and Margaret Medlyn. She is currently studying for her Masters of Musical Arts in Classical Voice at Wellington’s New Zealand School of Music. Her goal is to ultimately further her studies abroad. Pasquale is a keen dancer and holds her NZAMD Licentiate diplomas for Jazz, Tap and Hip-Hop, and her Trinity LTCL diploma in Performance Arts. In 2017 Pasquale debuted as Mercedes in Carmen with NZ Festival Opera, starred as the Vixen in NZSM’s The Cunning Little Vixen, played Susanna in Eternity Opera’s The Marriage of Figaro, and sang in the NZ Opera Chorus for Carmen. 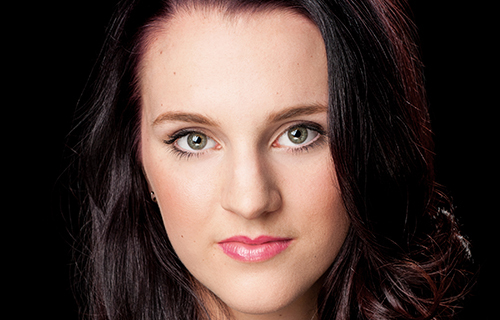 She is an alumni of both the IFAC Handa NZ Singing School and the NZ Opera School. Pasquale is passionate about all aspects of performance, living for the stage and strives to captivate her audience. 2018 Winner, soprano Zoe Drummond, performs "Nel grave tormento” from Mozart's “Mitridate, Re di Ponto” at the Finals Concert of the 2018 IFAC Handa Australian Singing Competition. Our finalists demonstrate the promising future and continued excellence of Australian music. Adjudicators are continually impressed by the high standard overall, and the exceptional technical ability and maturity displayed by these young musicians.